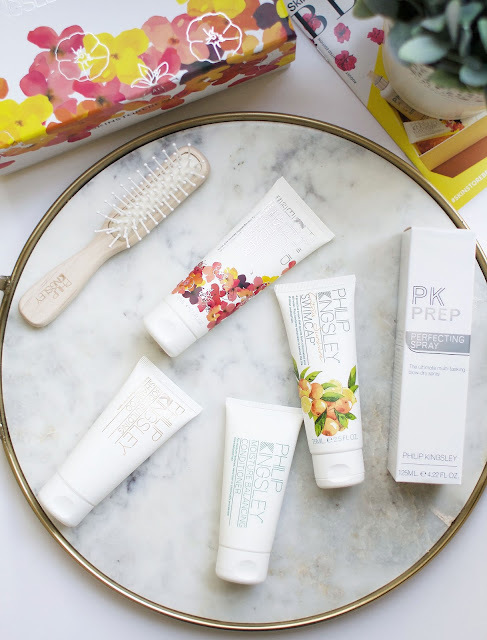 I am back with another ridiculously good collaboration box from SkinStore, this time they have teamed up with the hair gods behind Philip Kingsley to bring a well rounded hair essentials kit. The box is worth approx $98.25 but available for purchase at $55, this would make a lovely gift for yourself or a loved one. It is limited edition though so you do have to be fast, the last collaboration box sold out quickly! I have blogged about Philip Kingsley products before so if you want to have a nosey at that you can read it here. 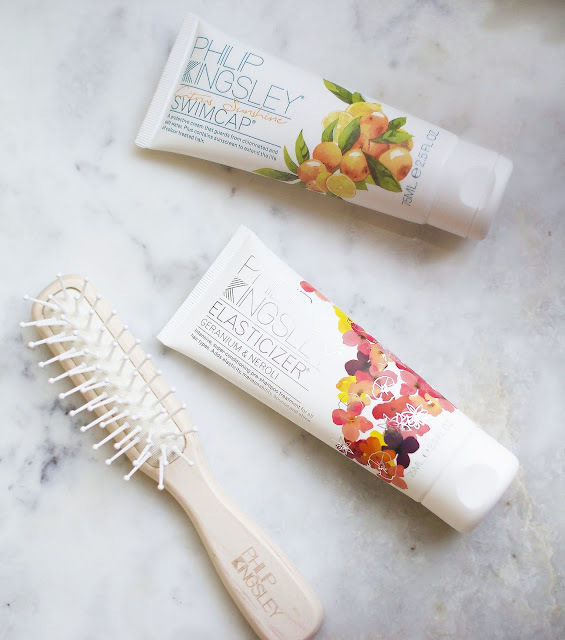 Philip Kingsley is known for his amazing healthy scalp and hair products which are absolute miracle workers! I was introduced to this brand around 6 years ago and at that time I was dealing with a flaky scalp from stress at uni so my friend told me to try Philip Kingsley products and they worked incredibly well at rejuvenating my scalp and leaving strong healthy hair. The products are on the more pricey side but definitely worth it in my opinion. Now lets take a look at whats inside the SkinStore box! Philip Kingsley Handbag Brush | Great quality detangling brush which fits perfectly into your handbag or gym bag, it has a cushioned base to softly brush through hair... It's also really pretty! Geranium and Neroli Elasticizer | I had a sample of this years ago and I loved it then so I was pretty excited to treat my hair to this pre-shampoo mask this week. It smells like a luxury spa and feels like a luxury hair treatment at home. Originally made for Audrey Hepburn, it adds elasticity, manageability and shine to your locks, I would highly recommend this box just for this product! I have recently dyed my hair and it felt so dry and lifeless after so it was a real treat to use this mask, my hair looks and feels back to its normal bouncy happy self. Body Building Shampoo | Super excited to try this shampoo out, its a new one for me but I have a feeling Philip Kingsley can do no wrong so I reckon I'm gonna love it. Its a gentle, weightless formula that will leave hair more manageable and full of body. Moisture Balancing Conditioner | Another new product for me but this is a best selling conditioner for Philip Kingsley which is amazing for smoothness and shine. I always look for products that smooth so happy to try this out. This product is formulated with Wheat Protein (great for taming frizz) and Hydrolyzed Elastin to add strength and reduce breakage. Citrus Sunshine Swimcap | I am extremely intrigued by this water resistant cream which protects your hair against chlorine, saltwater and UV damage. I have never used a product like this before but I will try it asap as I've been doing a lot of swimming recently, and I've noticed the chlorine dries out my hair to the point where it feels almost crunchy. I'm intrigued! PK Prep Perfecting Spray | This spray acts like a hair primer to give long lasting smoothness, it has a lovely delicate cherry blossom scent too. Formulated with Elastin and ProVitamin B5 to condition and add shine to hair. I currently use Philip Kingsley Daily Damage Defense to protect against my heated styling tools and I think together these products will work wonders for healthy and smooth hair. I actually thought SkinStores last collaboration with Caudalie was my favorite beauty box but I think this one has taken the spot!